Lots of keen gamblers prefer to play in comfortable conditions, for example, in a reliable virtual casino that offers hundreds of interesting and exciting slots as well as various card games. Online casino is a thrilling “fight” with fortune, where entourage is simply not necessary. Gamblers don’t have to leave home, spend time in traffic jams to get to the gambling houses, dress up, etc. Whereas those who prefer to feel the atmosphere of real luxury, rich people, expensive and unusual designs – are very welcome to traditional casinos. But before visiting such prestigious places in such “gambling capitals” as Macau, Las Vegas or any other, don’t forget to learn the rules of a dress code. The offline casino is a high-status place with its own rules and unique environment. Almost every person who is over 18 can become a guest. Speaking of elite traditional gambling houses, here one should always think of a dress code. In a modern world, appearance and outer look play a very vital role, especially if we are talking about casinos. In a respectable gambling place, the majority of visitors prefer modest, expensive yet not “cheesy” style. Classics, sophistication and nicety have always been and will be the main criteria for such places. The clothes should be clean, fresh, well-ironed, suitable and chosen with taste. Men should preferably wear an elegant trouser suit or a dinner jacket depending on the situation. All clothes elements should harmonise with each other. Visitors wearing flip-flops, trainings, sandals or footwear of such a kind will not be let in at any serious offline gambling houses. However, in famous casinos of Monaco, the dress code is not that strict. In some gambling places, visitors can even get inside wearing casual style but only until 2 pm. After 2 pm everyone should be dressed in an appropriate style as the strict control is present. And that is why many people wonder: “what is this particular dress code of a Cote d’Azur?” Well, believe it or not, but in this glamour and rich place, men tend to dress up in jackets with ties/bow ties and women in evening dresses. NOTE* Participants of excursion groups who can visit casinos before midday can wear absolutely everything they want (except beach and sports clothes). It should be also noticed that not in all countries casinos are posh places for prominent figures in expensive clothes. For instance, dress code in Cyprus, especially in its Northern part, is almost not compulsory. Local gambling houses differ due to their democratic nature, rules, comfort and goodwill. Here one can come in very simple, light clothes and play favourite roulette and slots. People are different and their financial possibilities are also different. That’s why the guard doesn’t pay much attention to clothes. 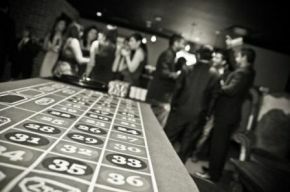 Despite the fact that a lot of gambling places have softened demands to clients’ looks, the main rules have still remained the same – presentable suit for men and a nice dress for ladies.